to get just the right balance. 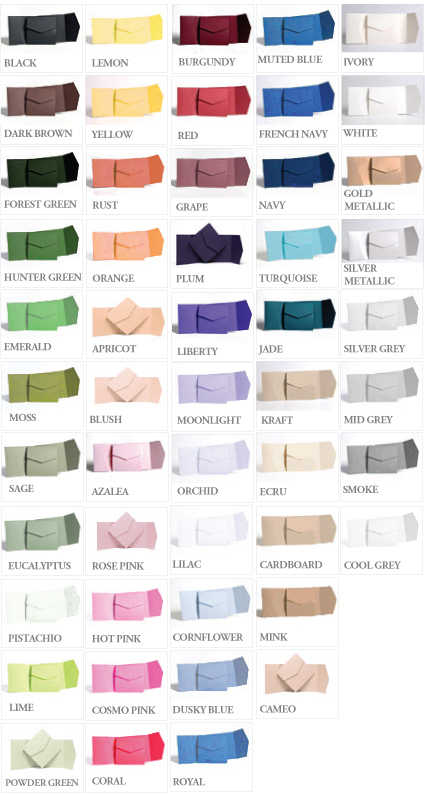 Over 40 card colours for pockets, backing cards and envelopes, 40 motif colours and oodles of ribbons and twines! The absolute best way to see my colours is to really SEE them. 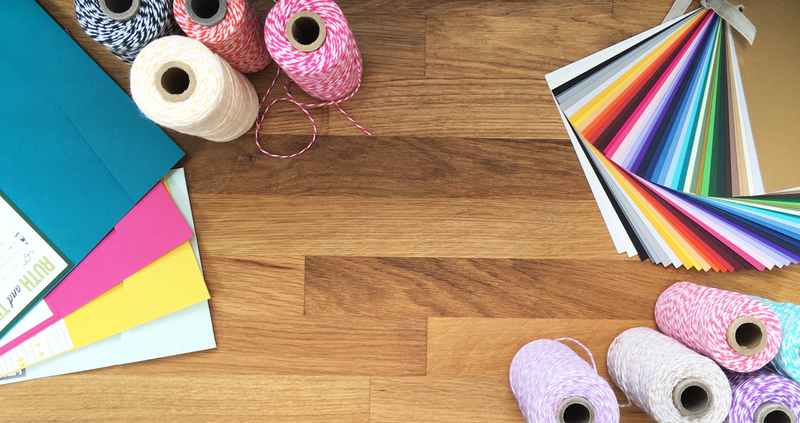 Order free samples – these allow you to see everything in the flesh and you’ll get to test out your favourite designs and see the flawless quality too! 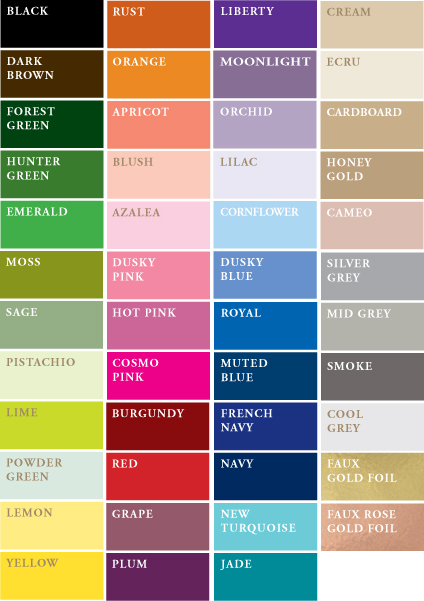 Motifs are printed in a huge range of colours or colourmatched to your requirements. White or ivory. Or try something a little different with kraft or a pale colour for your printed card! White and Ivory card is available in three textures – Linen, Felt and Smooth. Available with ivory or white card as backing so everything perfectly matches.